The HEART of Scarrella Ministries is revival to abide in the local church and to see the people of God set free, matured spiritually and passionate for God’s Kingdom. Fulfill your ministry calling with our practical training and grow spiritually on your own time, at your own pace. You’re not alone. Connect with Scarrella Ministries and a network of other Kingdom-minded ministries and churches for impartation, encouragement, inspiration, Godly counsel, and fellowship. Consider supporting one of the many world outreach programs with Tom and Susie, including Revival House orphanage project in East Africa or join us on the field. Tom began full-time ministry as a young man of 18 years. Shifting his ministry focus from pastoral to evangelistic, in 1994 Tom founded Tom Scarrella Ministries (TSM). Tom and Susie married in 2003 in Kansas City and relocated their ministry headquarters to Fort Lauderdale, Florida; USA one year later. 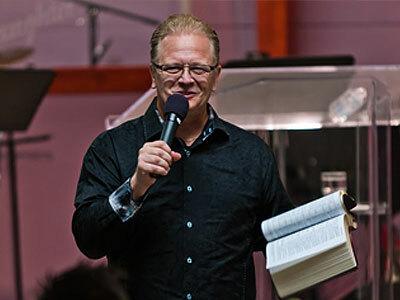 Since 2003, Scarrella Ministries has opened ministry offices in both Canada and in South Africa. 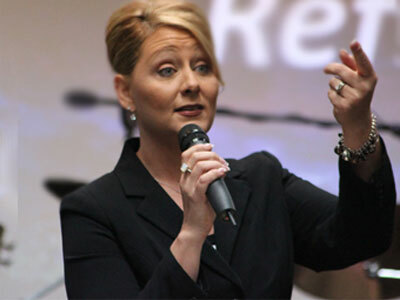 Susie attended Bible school in Kansas City, Missouri and started in full-time ministry in 2003. Since that time she has ministered in over 20 countries and in 48 states. She has co-authored three books along with Tom and cohosts their weekly television program, All for the Kingdom. She ministers with a strong prophetic gifting and teaches the Word of God with power revealing the Christ life of every believer. Scarrella Ministries has been around for awhile now and we often find ourselves answering a handful of the same questions. We have made it a point to provide as much information about our ministry as possible on our website, as well as some great free resources! Please check out all of the different sections of the site – as there is a lot to see! If at any point you have any questions, please don’t hesitate to contact usdirectly. Your generosity enables us to take the Gospel to the ends of the earth. Yes I will support you! We pay our own expenses. Thank you for so much for visiting our website! If you have any questions or would simply like to say hello, please contact us today.